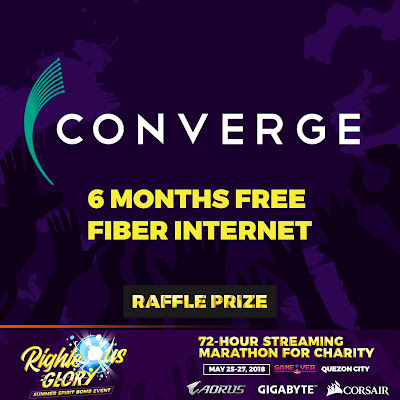 Pinoy Gamers, are you ready to converge? 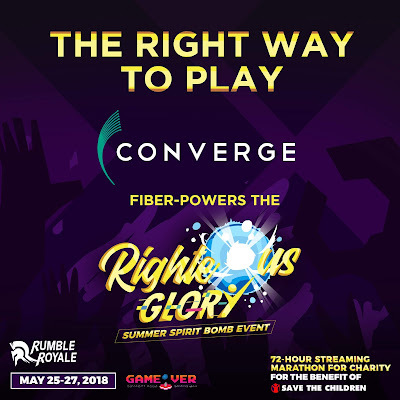 Mark your calendars for the most glorious gaming event of the summer through the Righteous Glory Summer Spirit Bomb! 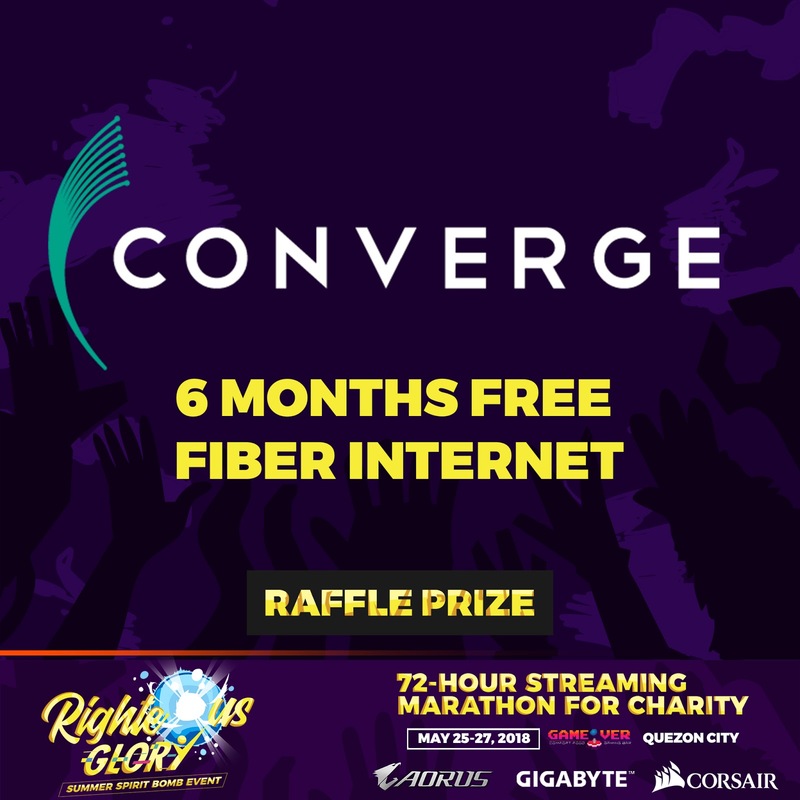 In cooperation with Rumble Royale Events Production, together with AORUS, GIGABYTE, Corsair, Dreamlords Digital, and the Streamers Philippines community; this 72-hour Streaming Marathon for Charity will be powered by the Pure Fiber Internet of CONVERGE. Experience better. Play harder. 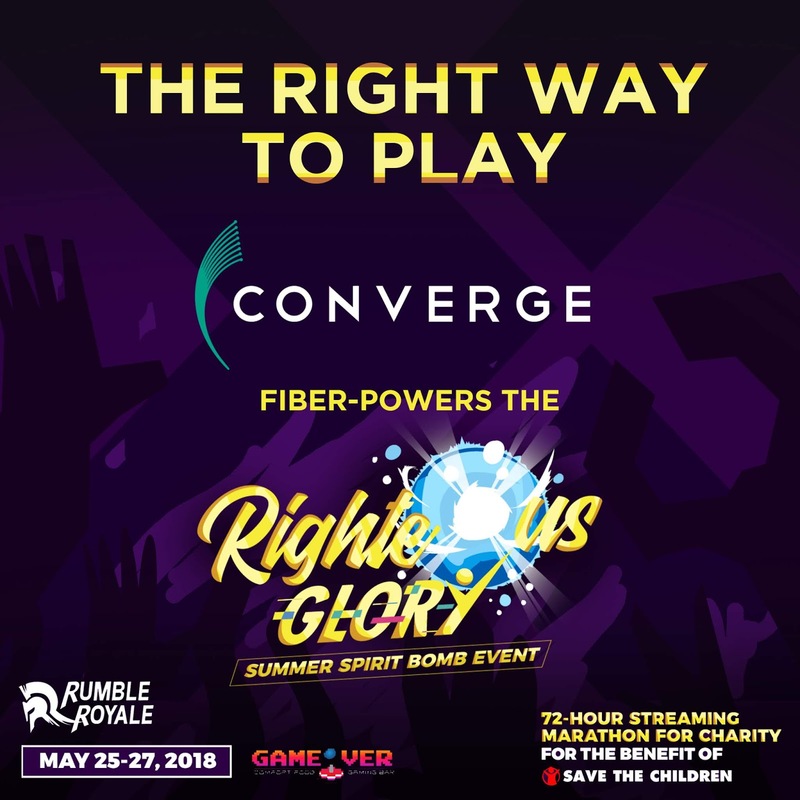 This is how you play, the Converge way.